The Nike Kyrie 1, Kyrie Irving's first signature shoe, is now available in MyCareer for your MyPlayer. They cost 8,000 VC. You can purchase the item in the MyPlayer store under Nike shoes category. Note that these shoes are not available when editing rosters, so you can't use them in any other mode. 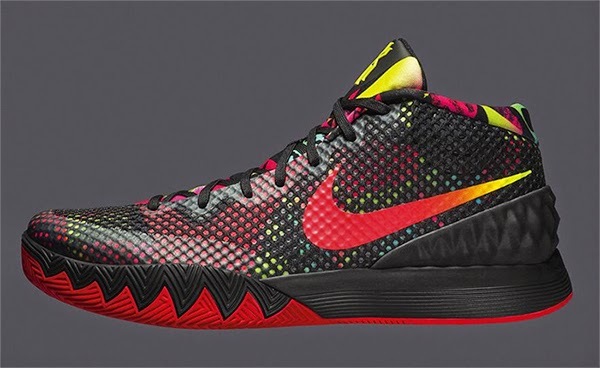 Kyrie 1 "Dream" is now available in NBA 2K15. More shoes will be added in NBA 2K15 as they are revealed over the course of the year.